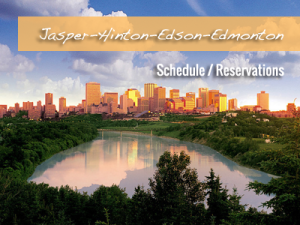 Are you travelling through Edmonton to start or end your vacation to Jasper and the Majestic Rocky Mountains? Allow Sundog vacation experts to assist you with Edmonton Alberta Canada Information and Activities. Whether you know Edmonton as River City, Capital city, The City of Champions, or Festival City, one thing is for sure – Edmonton knows how to have fun! Canada’s “Festival City” is always celebrating something, from music, film, and theatre, to heritage, food, accordions, dragon boats, and even winter. With over 30 festivals throughout the year, it’s easy to find a reason to celebrate. 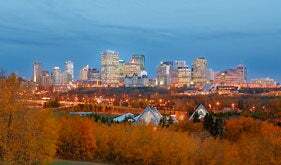 Also the capital of Alberta, Edmonton began as a Hudson’s Bay fur trading post in 1795. Locally owned fashion boutiques, quirky shops and outstanding restaurants are opening their doors weekly, giving you the opportunity to experience something uniquely Edmonton. Keep your eyes peeled for signs of exciting new developments: The royal Alberta Museum projected to be ready by 2017 and the new downtown arena – home to the multiple Stanley cup winning Edmonton Oilers- should have ice ready to skate on by 2016. No matter what you end up doing – in Edmonton it is sure to be and adventure. When you are exhausted by all the events and entertainment Edmonton has to offer. Let Sundog organize your transportation to Jasper, for the relaxing component of your holiday in the outdoor natural splendor of the Canadian Rockies. The pace will be slower for sure, but there are still plenty of Activities and Sights to be seen in this unique and breathtakingly beautiful Park. Transportation and activities are our specialty, allow us to assist you in planning your vacation of a lifetime. 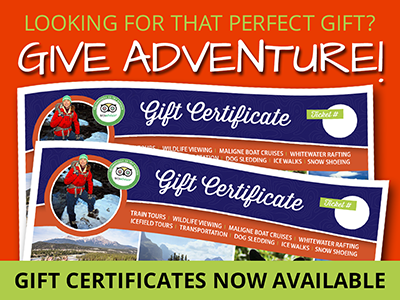 Call us at 1 888 786 3641 to speak to one of our Holiday specialists. We live here!